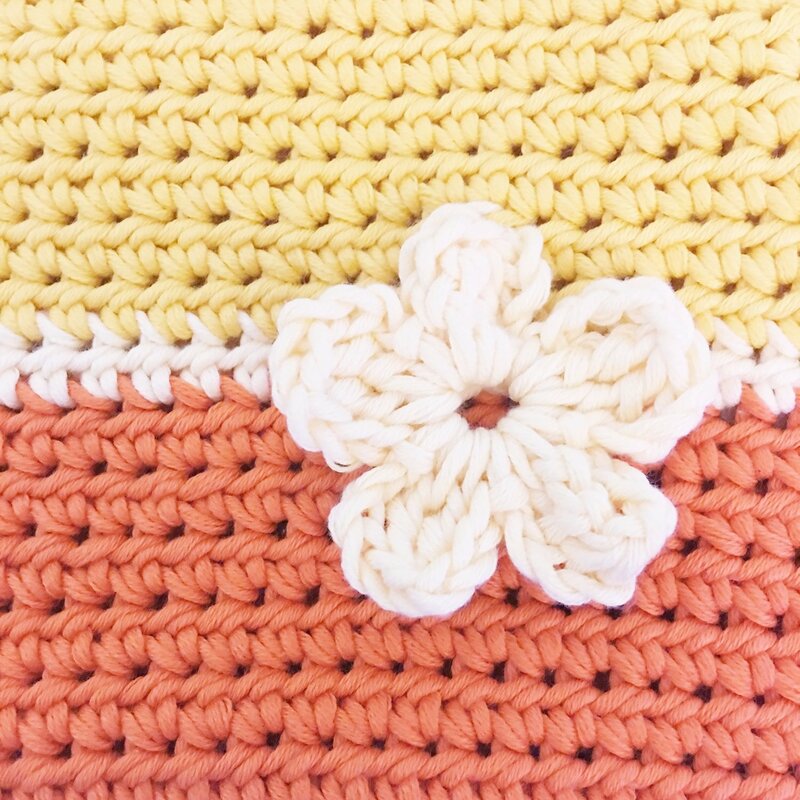 My flower stitch now has a tutorial! Designed so that you work the flower in the row and don't have to attach it later. This tutorial is a step by step picture guide for the flower used in the Summer Set, Flower Hat and Flower bag patterns.